Does it get any better than cake you can eat for breakfast? In my world, no. 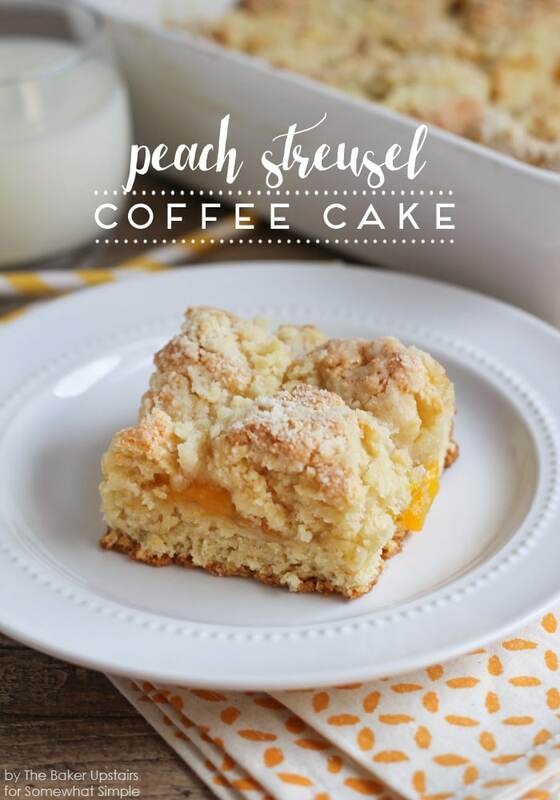 This peach streusel coffee cake is simple to throw together and tastes spectacular. 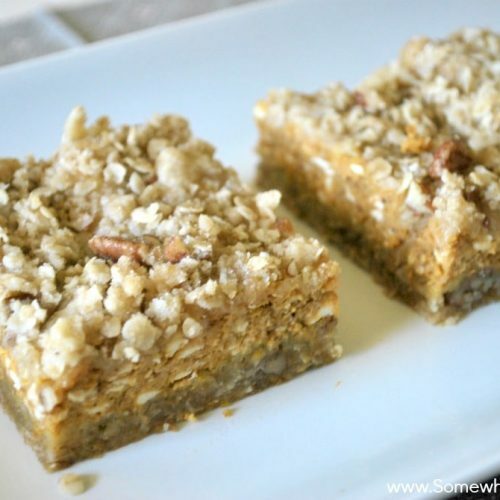 It’s perfect for breakfast, brunch, snacking, or dessert. I love that it’s not overly sweet, which lets the peach flavor shine through. 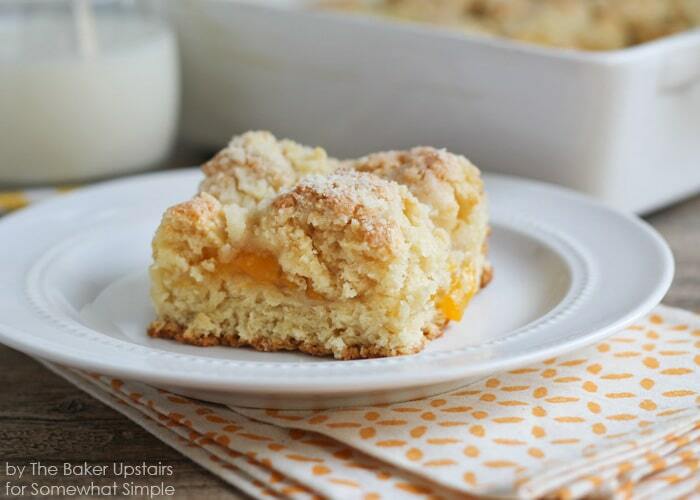 Peaches are one of my very favorite fruits, and they are perfect in contrast with this light and tender cake. 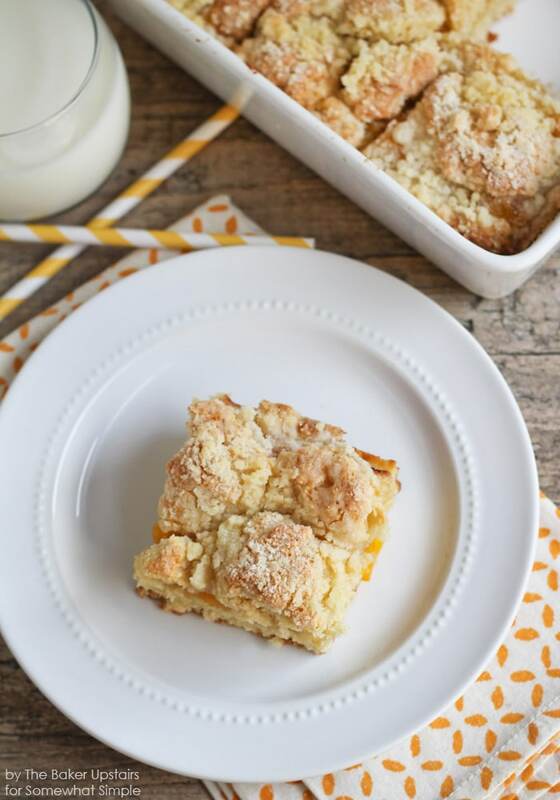 The buttery streusel topping adds a delicious taste and texture to the top of the cake and I’m not ashamed to admit that I’ll pick it off and eat it with my fingers. 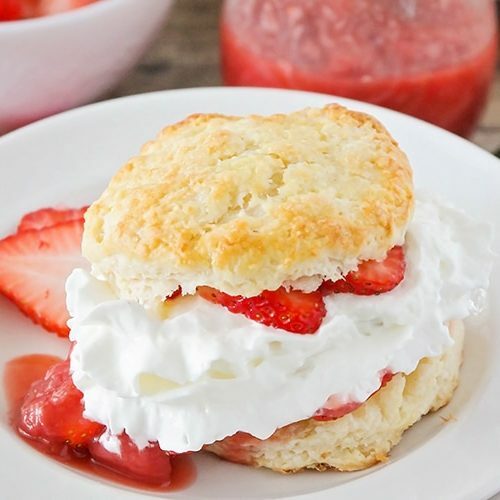 🙂 All in all, a perfect summer treat! Preheat the oven to 350. To make the filling, add the peaches and water to a small saucepan and bring to a simmer over medium heat. Cover and simmer five minutes, or until the peaches are tender. While the peaches are simmering, whisk together the sugar and corn starch. After the peaches have softened, stir in the sugar mixtureand continue to simmer 2-3 minutes, or until slightly thickened. Remove from heat and let cool while you make the cake. To make the cake, whisk together the flour, sugar, baking powder, baking soda, and salt. Cut in the butter using a pastry blender or two knives, until the mixture resembles coarse crumbs. In a small bowl or measuring cup, mix together the egg, buttermilk, and vanilla, then pour the wet ingredients into the dry ingredients. Mix until just combined. Spray a 9 x 9 baking dish with cooking spray. Spread about 2/3 of the cake mixture in the bottom of the dish. Spread the peach mixture over the top of the cake batter. Drop the remaining cake batter on top by spoonfuls (it’s okay to not cover the full surface). In a small bowl, whisk together the flour, sugar, and salt. Smush in the butter with your fingers until the mixture resembles coarse crumbs. Sprinkle the topping evenly over the top of the cake. 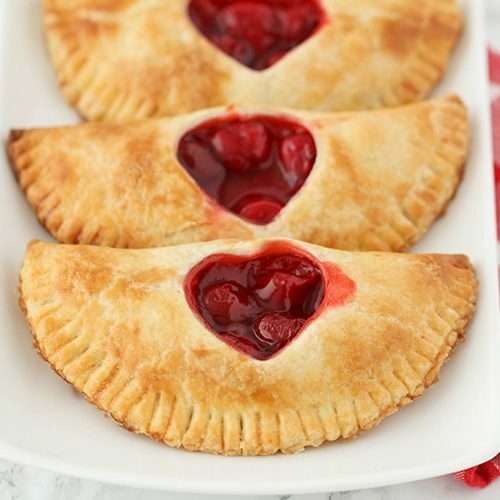 Bake 40-45 minutes, or until light golden brown on top.